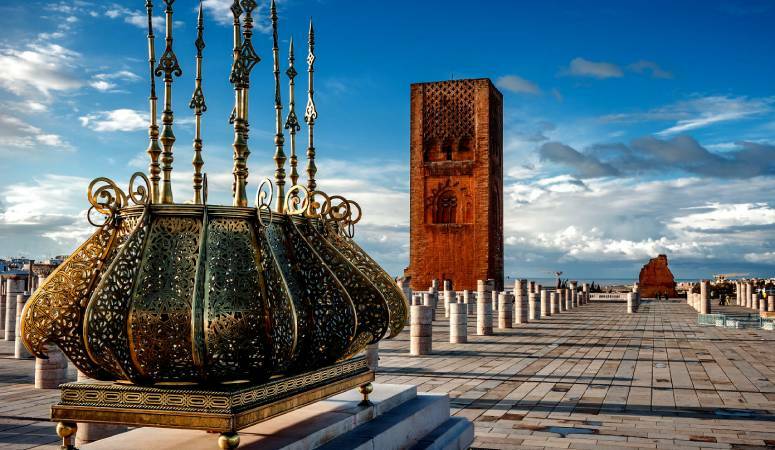 Morocco is a country with so much to offer to its guests. From the Mediterranean sea to the Atlas mountains, down to the Sahara desert, this colorful landscape enabled Morocco to be the primary destination for many people, not to mention its local people who come from various background, Berbers, Arabs, Africans, and Europeans. This mixture paved the way for a positive blend and beautiful life in Morocco. If you are planning a visit to this destination or want to know where to go and what to visit, then this article will help you navigate and discover some of the top attractions to visit. Are you ready for a unique adventure?.Are you fond of Sahara Desert? If so, then Chebbi dunes is your ultimate thrill. Located south of Morocco near the town of Merzouga, Chebbi Dunes is one of many ergs located in the desert of Morocco. While there, make sure to take a camel ride, and trek the desert the old way. 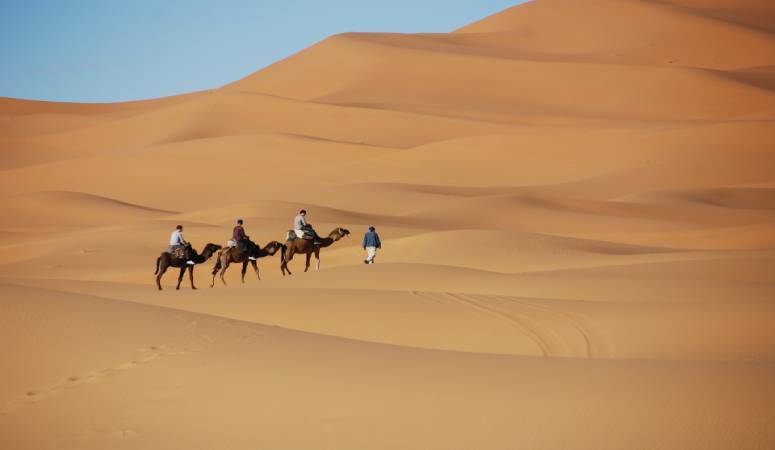 Erg Dunes, is located 40 kilometers from Erfoud, not too far from the town of Merzouga. 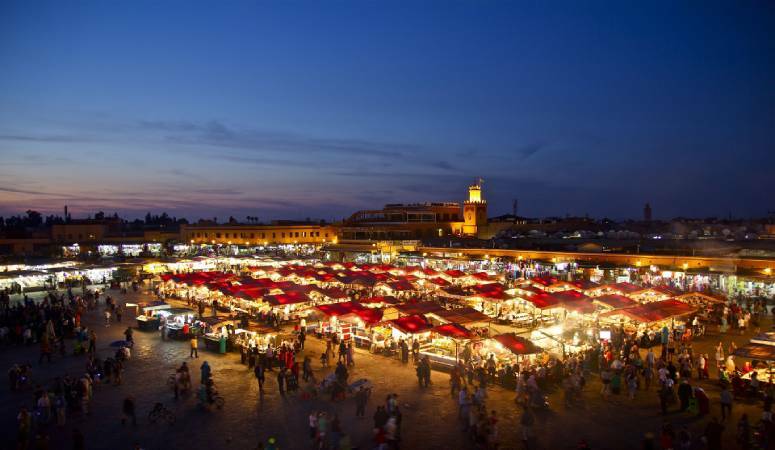 Located in the heart of Marrakech city, this place is best known for the amazing musicians, fortunetellers and the snake charmers, which can make your day unforgettable one. Djemaa el-fna market is another aspect that attracts tourists to this part of the country. So, while there make sure to visit all the corners of the square to maximize your experience!. If you are fond of natural botanical gardens, then ensure you do not miss out on such a treat. 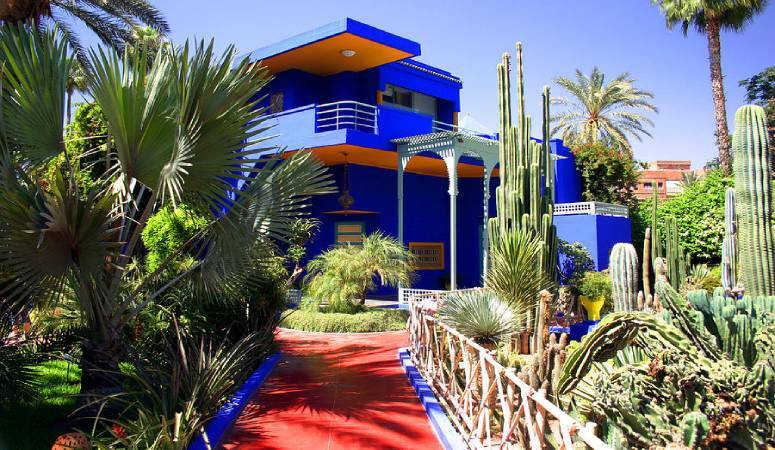 The Marjorelle Gardens sits in the heart of the city of Marrakech, offering picture-perfect photo opportunities. So make sure to have your camera handy! 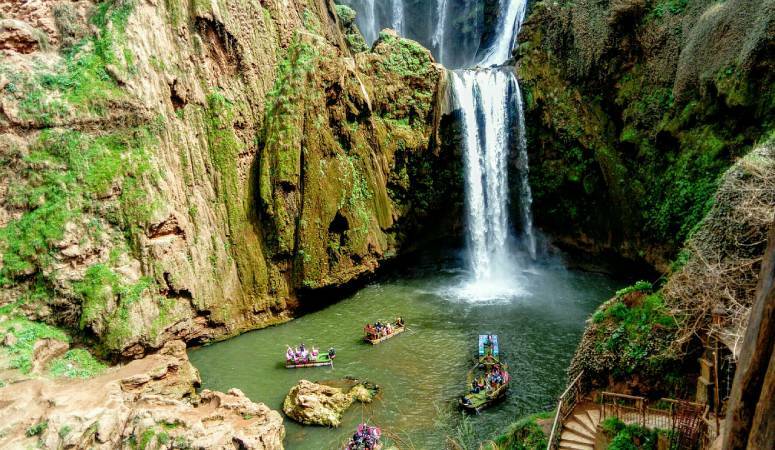 Ouzoud waterfall is located 150 km (93 miles) northeast of Marrakech, Ouzoud is a Berber word which means “The act of grinding grain”. This breathtaking natural beauty is something to see, there are man-made pathways that enable you to see the waterfall from a perfect angle. So, make sure to have your camera handy! 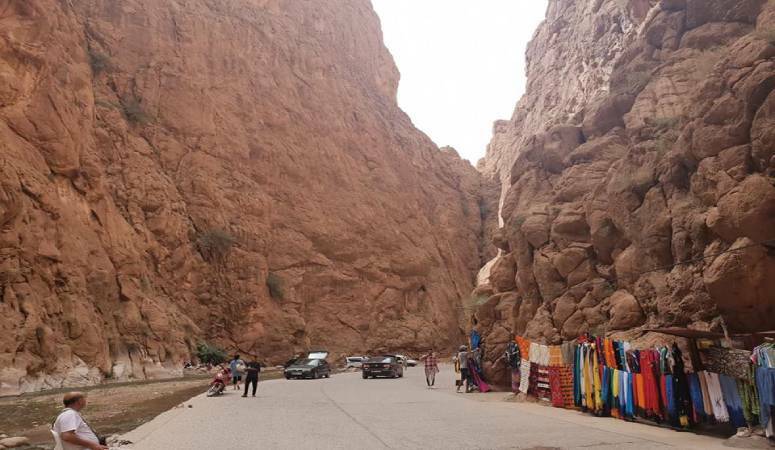 Todra Gorges are limestone river canyons, located in the eastern part of the High Atlas Mountains in Morocco, within close proximity to the town of Tinerhir. The best part of this canyon is the last 700 meters of it, Here the canyon become so narrow with high flat vertical mountain walls. Besides canoeing, This place offers hikers the opportunity to challenge those vertical flat mountain walls. The historical mosque of Koutoubia was build in 1184 by a Beber sultan named “Yakub-al-mansour”, It is a popular tourist destination, and it is within a walking distance from Jamaa al-fna (200 meters). 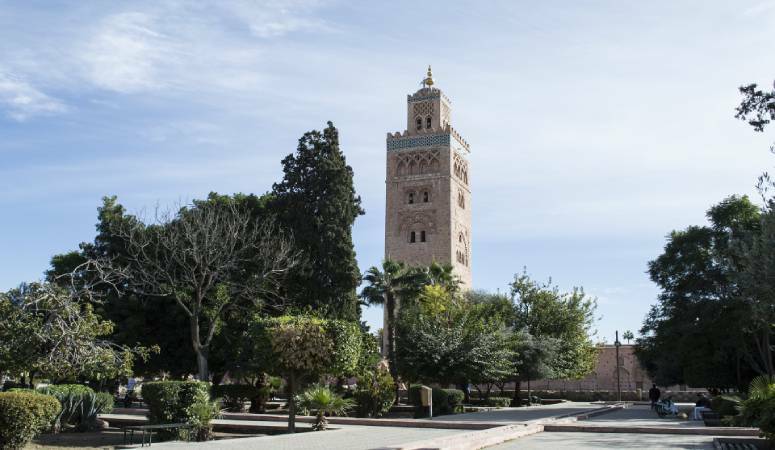 This landmark is the largest and oldest mosque in Marrakech. The word Koutoubia means “Booksellers”, back in the days, the entrance and space around the mosque was home to 100 book sellers. 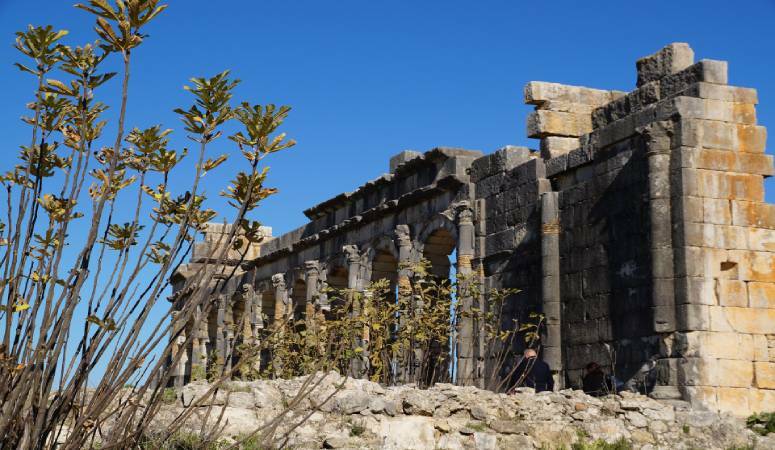 Located near the city of Meknes, Volubilis was once the capital of the ancient Mauretania kingdom. Built in the 3rd century, it became an important and strategic outpost for the Roman empire. This ancient place with so much history on its back is UNESCO world heritage site, and available for public to visit. Have you watched the films Lawrence of Arabia, Gladiator, and The Mummy?. Ouarzazate region was the place where those films were shot. It is home to the largest Hollywood studio in the world. 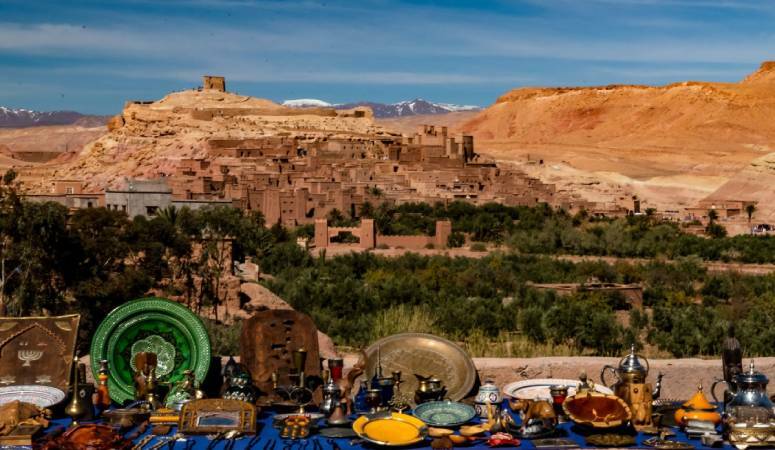 So, have your camera handy to take pictures of Ouarzazate movie studio and the places where those Hollywood films were shot! Rabat is the administrative and political capital of Morocco, and second in population behind Casablanca. This city will probably not be on the wish-list for many travelers to visit. 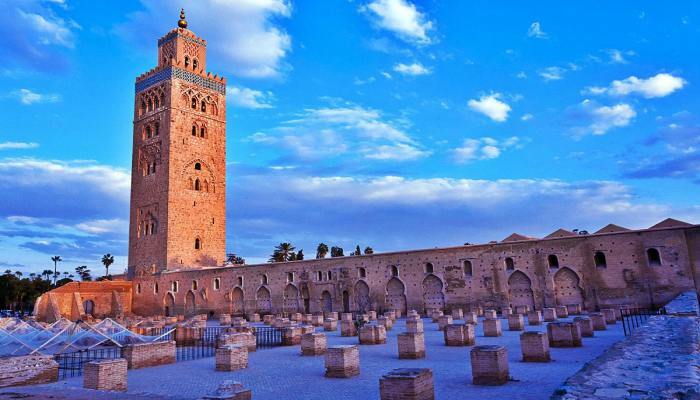 However, the imperial city of Rabat has so much history on its back, with a number of sites and attractions to visit. You can start your day by visiting the “Hassan Tower” built in 1195. 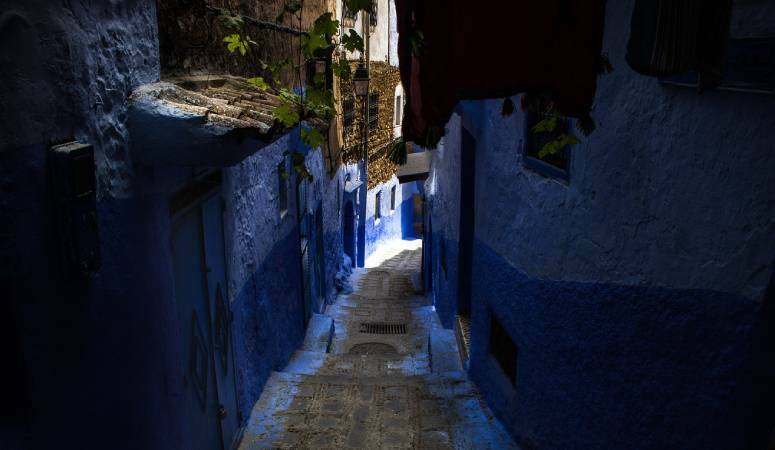 Chefchaouen or Chaouen is a spectacular mountain town located in the north of Morocco. Despite its beautiful location with waterfalls and a national park nearby, Chaouen has retained its low-key charm; Thus, presenting an ideal opportunity for travelers to explore the town and enjoy the peace and the tranquility that this place has to offer.